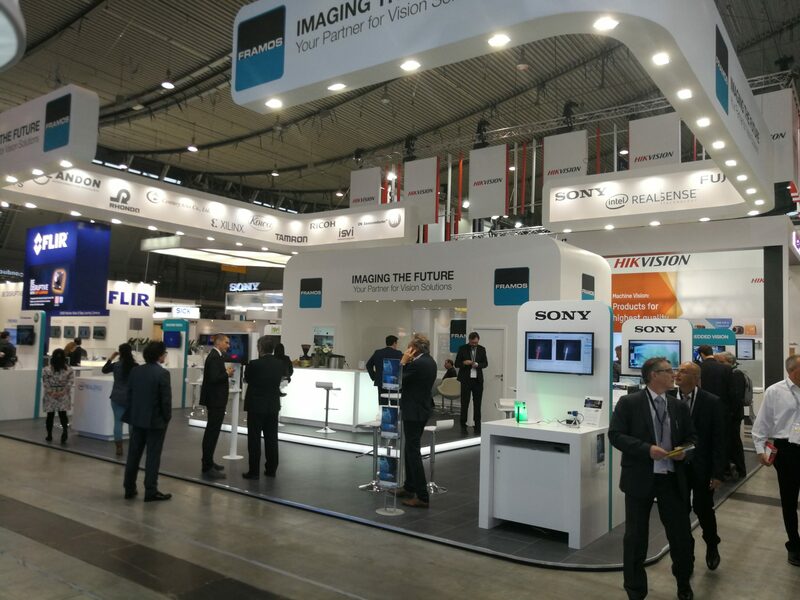 The FRAMOS team will provide information on the latest advances in embedded vision and imaging components as well as practical solutions for specific industries. The focus will be on the latest image sensors from Sony and On Semiconductor as well as FRAMOS' new product line, offering a modular approach to embedded vision development with sensor modules, and module and processor adapters. Axel Krepil, Head of Sales at FRAMOS, says: "At the FRAMOS booth, we will demonstrate our first own product series along with its numerous possibilities, allowing customers to realize embedded vision solutions in a simple and unique way. 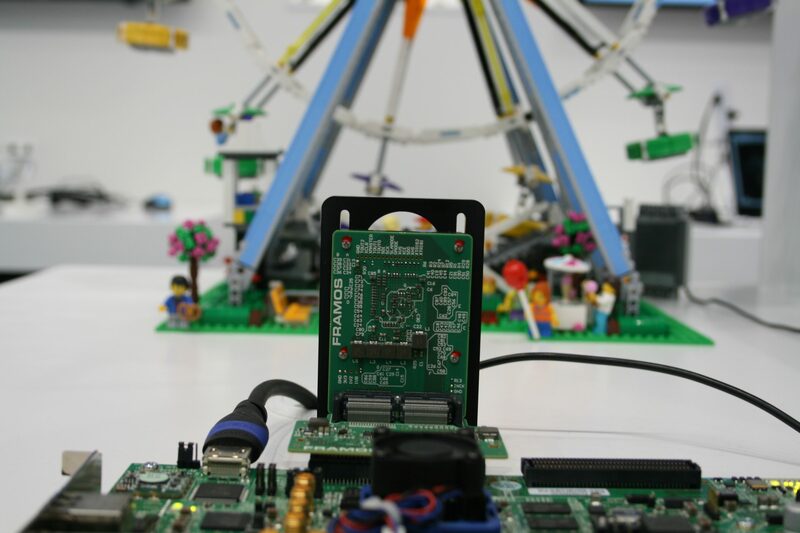 FRAMOS supports customers from all industries in using embedded vision technologies to create innovative products by focusing on customer-specific solutions using modular designs that can be used for the initial idea right through to the finished product." The FRAMOS’ product offerings, ranging from different sensor modules and adapters to FGPA IP cores, will be presented in numerous live demonstrations. Vision engineers and developers can use the modular approach and ready-to-use compositions to accelerate their time-to-market and optimize their resources. 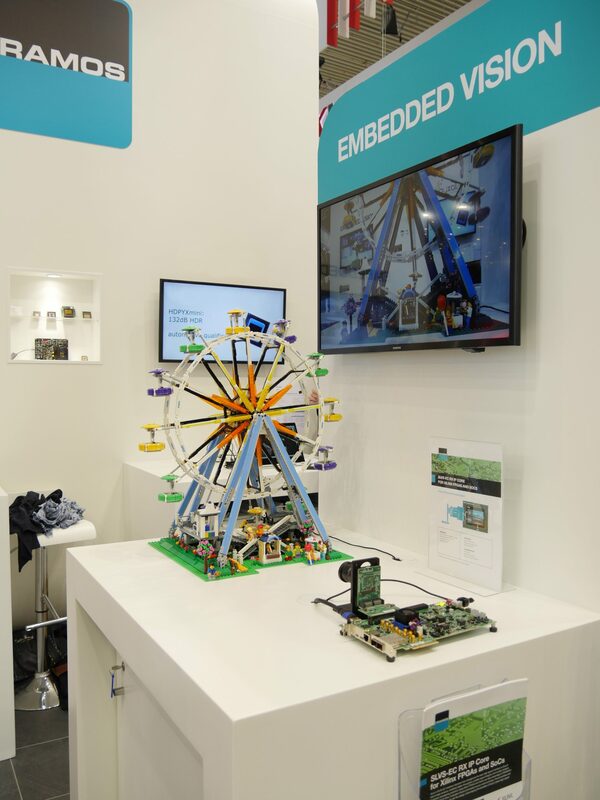 Different processors and platforms such as NVIDIA Jetson or QUALCOMM's DragonBoard will be on display to demonstrate the flexibility in design that is available to embedded vision engineers. FRAMOS will show its SLVS-EC Rx IP core for Xilinx FPGAs that can be used with SLVS-EC based sensors into new designs. Century Arks will show an Embedded Vision system with six camera modules that was developed for premium Internet of Things (IoT) based 360° devices which includes the Sony IMX378 sensor, a focusable lens and image stabilization. As a long-term Sony partner, FRAMOS presents a wide range of image sensors for Embedded Vision, OLED Microdisplays and Spresense development boards. The OLED Microdisplays are high-quality mini displays for applications in industrial and consumer electronics and enable extremely high image quality and reproduction. The Spresense series includes professional development boards with Sony's 6-core CXD5602 microcontroller, which can be used to develop various IoT-type applications with a short time-to-market. Free tickets are available at the FRAMOS Event page. With 37 years of imaging experience, FRAMOS helps industrial customers, OEMs, system integrators and researchers meet the challenges of enabling machines to see. Whether selecting individual components or creating complex system designs, FRAMOS serves its customers with a wide range of products and modular solutions. Machine vision solutions can be developed quickly by bringing innovative Embedded Vision products to market faster.